And so it begins…Bill Reynolds of Canada, Lars Wohler of Germany, and myself, Mike Mayer of the USA start an adventure working with big and small museums, parks, zoos, historic sites, aquariums and other such sites. Sites that we in Experiential Interpretive Design (EID) call preservation, collection and historic recognition sites. We deeply love these places in all their many iterations and are profoundly concerned they might lose their relevance. No, we aren’t concerned these places will disappear, only worried these places are locked into ancient codes that define who they are and what they do. Our concern comes from decades of working with and attending interpretive and education experiences at the preservation, collection, and historic recognition sites. Unfortunately we have been mostly disappointed and only occasionally thrilled. Our aim is to reverse that experience. These lopsided experiences are not the fault of the front-line interpreters and educators interacting with the public. The front liners are hard-working, underpaid, and are usually shackled by restraints they did not impose. No, the problem is the fields of interpretation and visitors’ services have settled for the crumbs. The EID adventure wants to develop a cadre of professional Experiential Interpretive Designers who participate in projects from the beginning and are just as relevant as all the other designers a site hires to complete a project. If you just “follow the money” it is easy to see who is the last to receive the necessary funds. Expensive consultants are brought in to develop extensive plans that often sit on shelves (See Kohl & McCool’ book The Future has Other Plans for some great examples), architects and engineers are hired, landscape architects and exhibits designers get contracts, law enforcement and maintenance are budgeted. Then at the end of this process a small number of interpreters are handed everything and told to make this relevant to the visitors. What an impossible task. EID is committed to training professionals already in the field, and to preparing those wanting to enter the field, to be ready and able to sit at the table on projects and advocate for meaningful visitor experiences from the car park to the exit. How do we plan to implement our mission to train experiential interpretive designers, guide sites through implementation, inspire visitors to gather meaning and memories, and share successes and challenges with other? Over the next few years EID will offer workshops and sessions, webinars and long-term classes, and assistance to sites in the planning process. Ensure that the mission, message and image are clear. Design ways to welcome, orient and guide people as they arrive. Develop experiences to satisfy the visitor’s head, heart, hands and hunger. Help the visitors and site staff achieve, motivate and organize the offerings. Integrate ways to reinforce the visitors’ experiences and evaluate success. Tie together each building, path, hallway, project, exhibit, personal offering, and event into the mission so each experience reinforces meaning and creates memories. We have our work cut out for us, and we believe there is a pool of talented Experiential Interpretive Designers waiting for the opportunity to take on the challenge in this new field. We believe, as Kohl and McCool have stated, a site doesn’t need to spend big money on outside experts if the talent is trained and on site. So in our work we want to provide both the theoretical framework and the practical examples to help staff and community analyze the site and move projects forward. We want to help find solutions to problems that interfere with the visitors’ meaningful experiences. 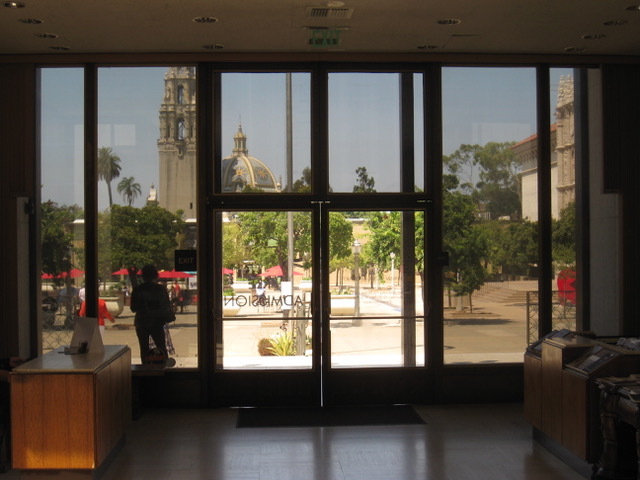 I recently went to one of the free art museums located at Balboa Park in San Diego, California. I knew nothing about this collection site and had not even planned on visiting it. I was pleasantly surprised by the collection and deeply disappointed by the experience. First, all I knew about the museum from the outside was an A-frame sign that said “Free Museum”. The most important pieces in the collection, several hanging tapestries, were hidden from view and associated signage was the usual small letters with too many words. Another room with portraits had some wonderful works but no meaning or context – nothing for the head or heart or hands. A room with 20th Century photography, staffed to ensure no cameras were used, seemed a bit out of place since all other works were from the 14th – 19th Centuries. Since I am a motivated visitor and like analyzing sites I did get something for my head and heart, but only because of me, not because the site designed some experiential options. I was in charge of my own achievement, motivation and organization. 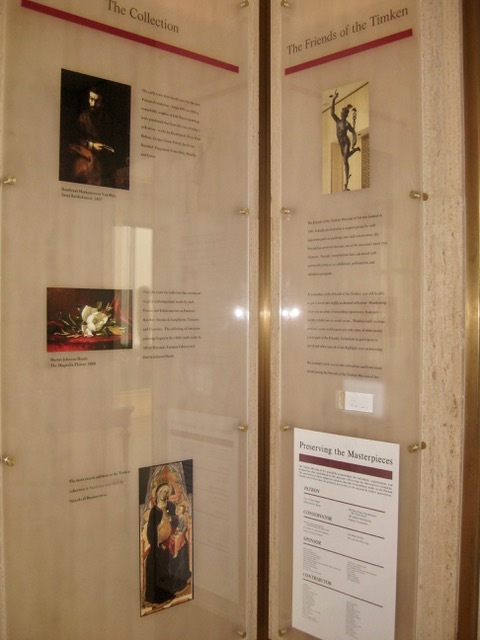 This museum was an exquisite jewel with a collection of art “gems.” I loved the place. But where was the invitation? How was I to gather meaning and memories? There was no Dance of Experience between the beautiful collection and the visitor’s experience. I had to make up my own dance steps as I wandered around. EID wants to train Experiential Interpretive Designers to work with collection, preservation, and historic recognition sites so visitors will do more than wander and wonder and forget. We want folks to come back for more and spread the word about the experience. These are the kind of experiences EID wants to explore with you through our blog site and our offerings. These are the systemic design issues that need to be addressed so front-line workers have options to offer visitors. Sometimes we will write about the underlying framework of Experiential Interpretive Designing and want your feedback. Sometimes we will provide an “Interpretive Challenge” and look for your responses. Other times we will post a “Reverberation” for you to contemplate. Sometimes we might find an interesting article and re-post it. We promise not to overwhelm you. We know your time is limited and valuable -- once or twice a month is plenty of contact. If you like where we are going, let us know. If you would like us to work with your staff on a project, let us know. EID would love to have you join in this new adventure of making all our preservation and collection and historic recognition sites more relevant through the field of Experiential Interpretive Design.